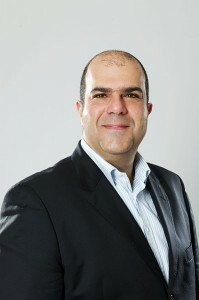 EasyJet founder Stelios Haji-Ioannou has announced to launch Africa’s first budget airline. FastJet’s “grey parrots” are due to expand from their Tanzanian gateway. In November, FastJet has set up its first airbase in Tanzania’s coastal metropolis of Dar es Salaam from where its fleet of “grey parrot”-labeled Airbus A319 carries passengers to the domestic airports of Mwanza and Kilimanjaro. According to the airline’s Chief Executive, Ed Winter, FastJet is planning to expand business to neighbouring Kenya first, before further establishing in other parts of Africa. Airbases in Accra (Ghana) or Angola’s capital Luanda are due to follow soon. Following this expansion scheme, FastJet already announced to take over the bankrupt South African low-cost carrier 1time. The acquisition of 1time would be a complementary strategic fit for Fastjet’s growth into a pan-African low-cost carrier, and the synergies with FastJet would potentially increase the number of available route networks from South Africa into the rest of Africa,” Winter said. Fastjet’s ultimate goal is to become Africa’s leading budget airline, carrying 12 million people a year. One-way-tickets for domestic flights in Tanzania are currently available at 32,000 Tsh (about 16€). Despite being the world’s fastest-growing continent, Africa’s airline capacity can only offer one seat per 13,000 people annually, compared to 2.5 seats per person/ year in the US.